Lincolnshire County Council’s Cross O’Cliff Orchard is at least one hundred and fifty years old. There are many old varieties of pear and many Lincolnshire apple varieties. After nearly half a century of neglect, restoration started in 1995. Specialist fruit tree and wildlife surveys were undertaken, a restoration plan developed and traditional varieties replanted. The orchard has been designated a Local Nature Reserve. 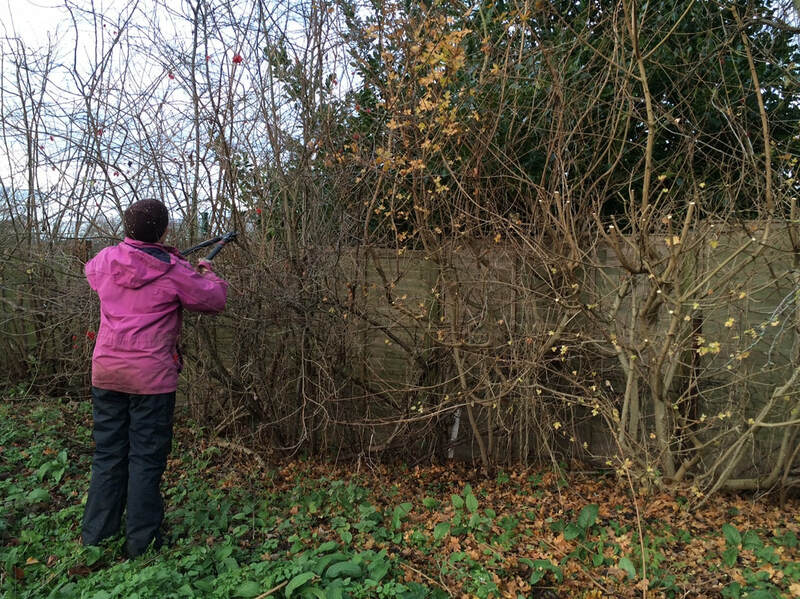 As well as providing fruit for local people to pick, the orchard is a haven for wildlife. A small group of local volunteers, led by Richard Borrill, look after the orchard throughout the year. They welcome our periodic visits to help with larger, more daunting jobs. Richard joined us for this workday, explaining what was needed then working with us. 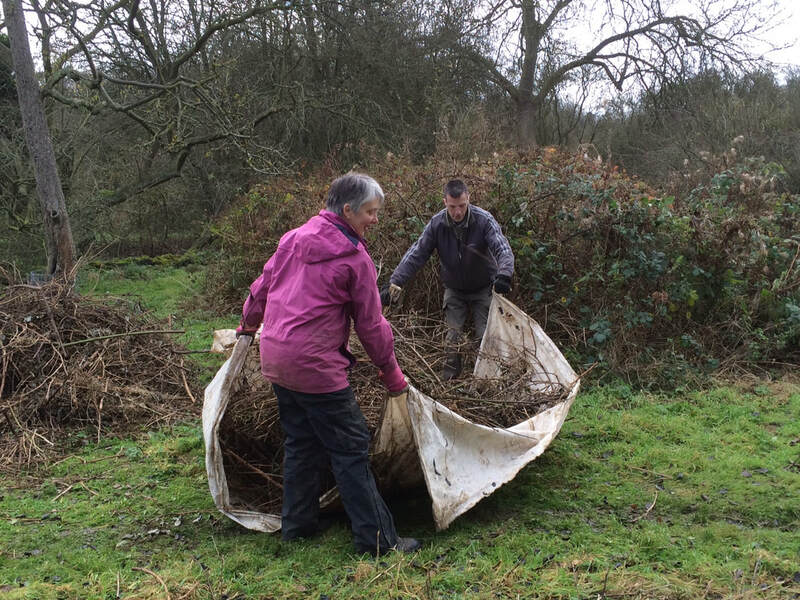 The main job was clearing overgrown brambles - cutting them back, piling the cuttings on a (very handy) sheet, dragging this across to our bonfire and burning the cuttings. There were also some fruit trees that needed severe pruning after falling over then continuing to grow along the ground. We stacked the larger logs resulting from this work to make habitat piles and the burned the smaller branches along with the brambles. Finally we helped trim one of the boundary hedges. It was a very pleasant day to be outside working, a lot less cold than much of the preceding week. We were joined for part of the day by two journalism students from the University of Lincoln, preparing a piece for their LSJ News channel. They seemed to find it interesting, filming us working then interviewing Richard and LCG member Sophie - who was proposed by Jonathan and fortunately accepted!